The engineers at Porsche have developed a range-topping sports car designed to deliver the finest in terms of power, performance and driving dynamics: the 911 Turbo S. The heart of this exclusive high-performance athlete is the six-cylinder boxer engine boosted by two exhaust gas turbochargers with variable turbine geometry. The flat-six engine has an increase in power over the 911 Turbo by 30 to 530 hp and maximum torque is a most impressive 516 lb-ft. Despite its significant increase in power and dynamic performance, the new 911 Turbo S does not consume any more fuel than the Porsche 911 Turbo, making it by far the most efficient sports car in its class. The 911 Turbo S Coupe is EPA rated at 17 mpg city, 24 highway. The 911 Turbo S comes exclusively with the seven-speed Porsche-Doppelkupplungsgetriebe (just say PDK), Porsche’s Double-Clutch Gearbox, delivering power to the Porsche Traction Management (PTM) all-wheel drive system. The increase in driving enjoyment is ensured by the now standard Dynamic Engine Mounts and Porsche Torque Vectoring (PTV), including the standard mechanical differential lock on the rear axle. In conjunction with Launch Control, part of the standard Sport Chrono Package Turbo, the 911 Turbo S accelerates from a standstill to 60 mph in 3.1 seconds. Top speed is 195 mph. Extra-light and fade resistant Porsche Ceramic Composite Brakes provides outstanding performance in terms of stopping power and controlled application of the brakes. 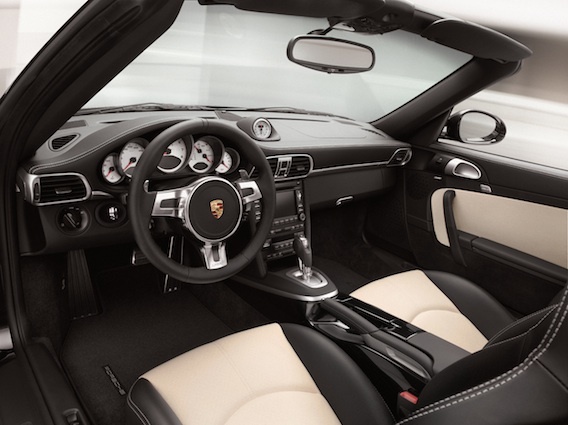 Other standard equipment on the 911 Turbo S includes Dynamic Corning Lights, 19-inch RS Spyder wheels with central locking, a three-spoke sports steering wheel with gearshift paddles, adaptive sports seats, cruise control, and a CD/DVD changer. The special twin-tone leather upholstery in Black/Cream or Black/Titanium Blue, along with the new Ice Blue Metallic exterior color underlines the exclusivity of the first Turbo S in five years. 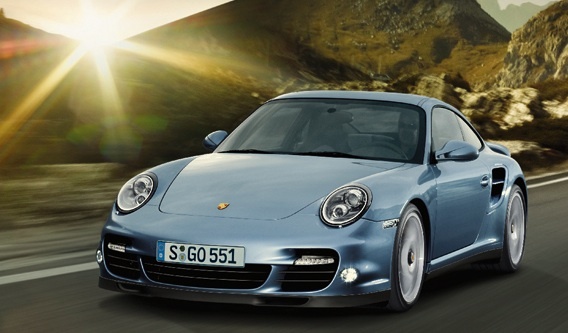 The new Porsche 911 Turbo S will be at dealerships as both a Coupe and Cabriolet in May 2010. The 2011 Turbo S Coupe and Turbo S Cabriolet prices are $159,100 and $170,200, respectively. Start saving those pennies!